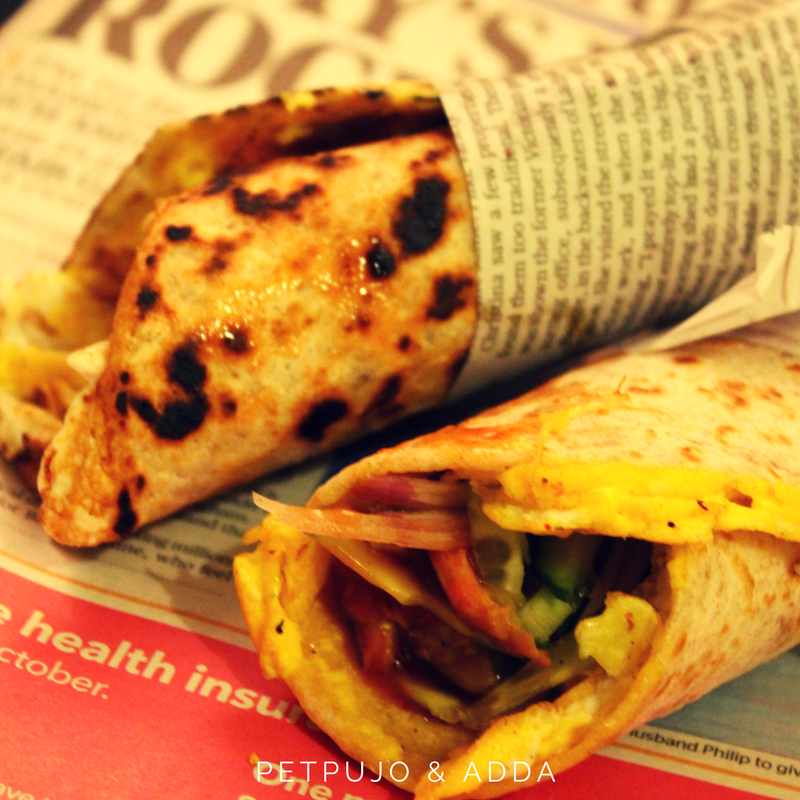 Egg chicken Roll is time tasted street food which is hugely popular in Kolkata. Bengali’s do not need an occasion to gorge on this beauties. Be in an evening snack, after office binging, lovers day out, puja pandal hopping at mid night, first day outing after marriage with new husband, college class bunking and adda or ‘parar rock ee boshe adda’. 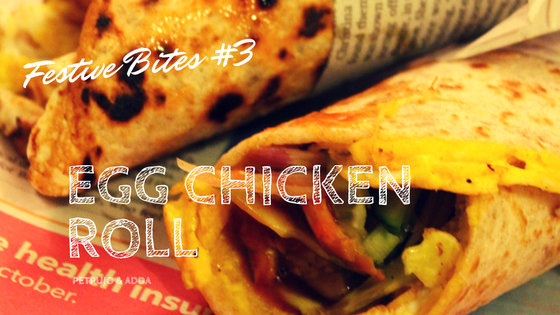 Egg Chicken roll is a great company is all occasion and more. Every Bong in Kolkata has his allegiance fixed with their favourite joint which satisfies their craving for these rolls. From students who travel between schools/college and tuitions, Lovers finding a quiet place in Victoria/moidan to chit chat with a single Egg Chicken roll in their hands to office returned executives, everyone have a craving for it. 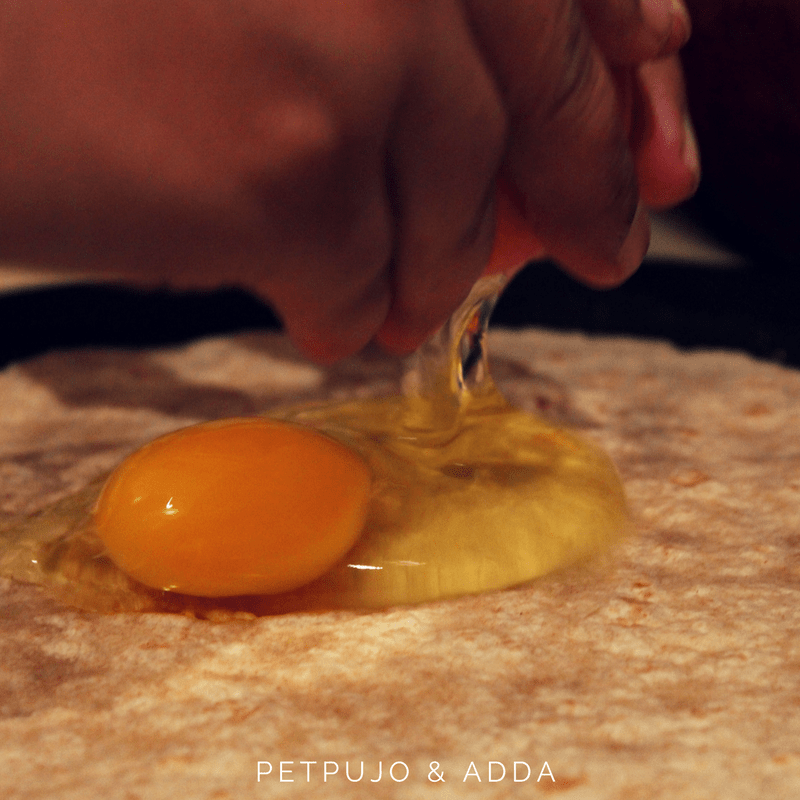 It is now hugely popular in other cities like Delhi Mumbai and Bangalore and even London with its own Kolkata kathi roll. But noting matches the taste of egg chicken roll born and made and eaten is the city of joy. And my recipe will not match as well. It is my humble try only to recreate a memory and fragment of the taste which I miss so badly in London. Puja is here. And I am sitting in front of my computer, writing this blog before leaving for office. Reliving memory through food is all I have today, so far away from home. 3. Mix well to make a soft dough ball. Cover with dough and let it sit for 10-15 minutes. Lower the heat to minimum and add beaten curd. Cook for a minute over low heat. Lower the heat to medium and cook covered. Stir occasionally to prevent sticking/burning at the bottom. Add salt now and lower the heat to minimum. Cook until it’s soft and completely done. Add 1/4 cup water and again cook over high heat until oil separates completely leaving thick gravy (3-4 minutes). 3. 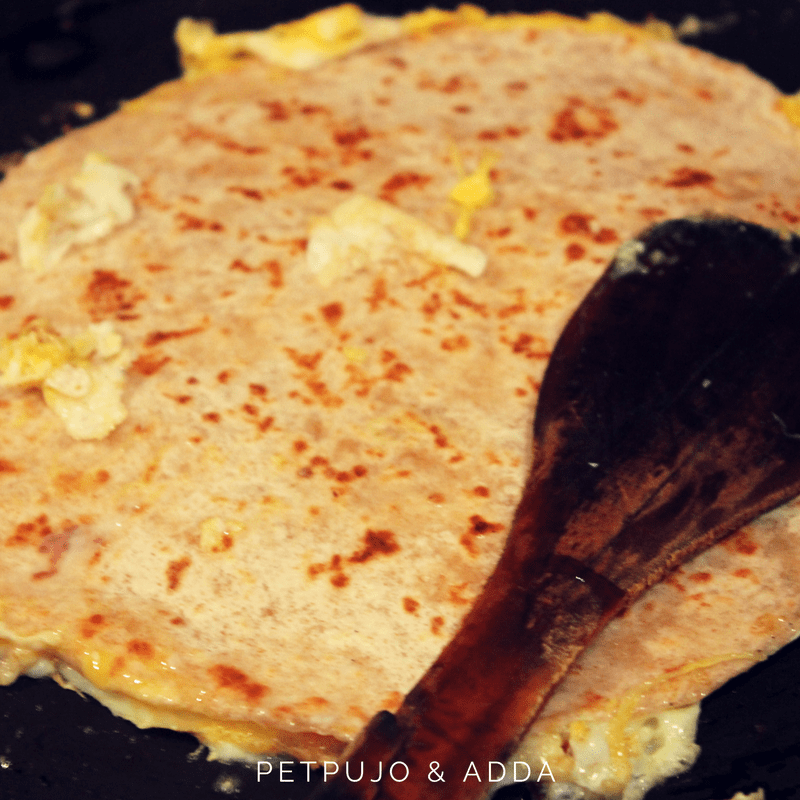 Pour 1 tsp oil on each side of the paratha and cook for a minute for both side. 1. 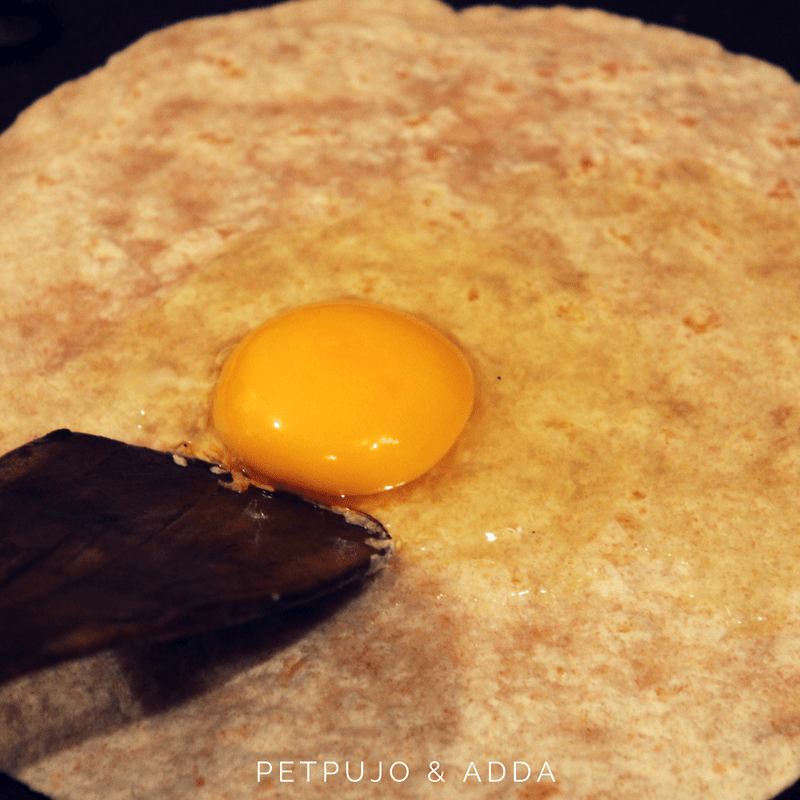 Place the paratha on a platform (egg side up) pour some tomato sauce over it and add some kosha chicken pieces along with green chillies, cucumber, onion, coriander leaves. 2. 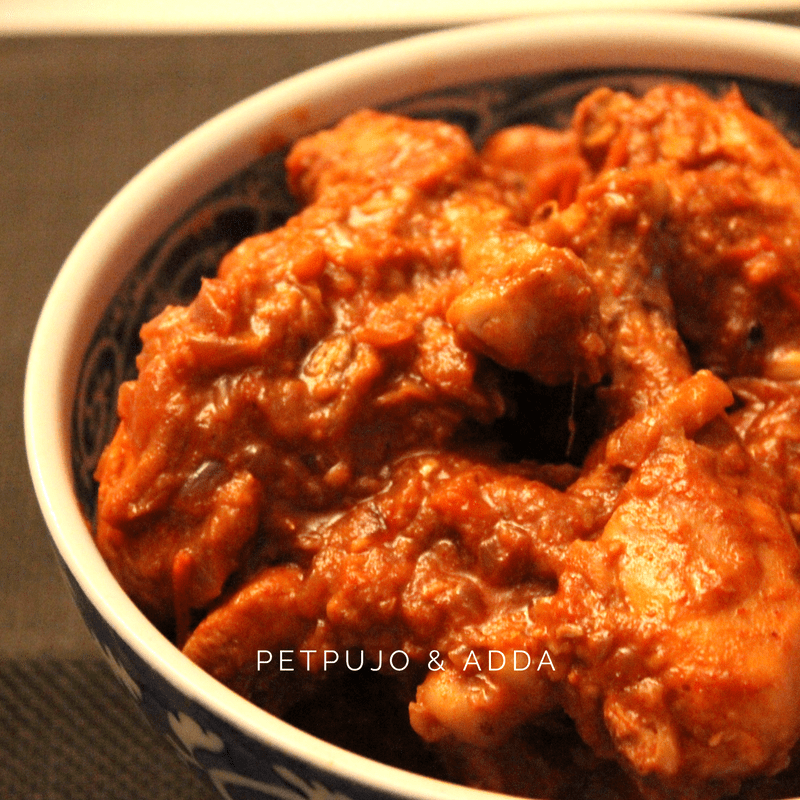 Add in some kosha chicken pieces in the center and season with salt and some lemon juice. Sprinkle some chaat masala/bhaja masala. 3. Roll the paratha with the chicken stuffing tightly so that while eating the chicken pieces shouldn’t fall. Wrap the bottom half of the chicken roll in a paper and tuck the remaining tissue inside the roll at the bottom. thank you for sharing the recipes. Kati roll has always been the best pick for meeting up the cravings.its quick and its delicious.